It will be tough going for Gor Mahia as they face of with Malawi league leaders Nyasa Big Bullets at the Kamuzu stadium in Blantyre on Wednesday. Firstly the Malawians will have the support of a large partisan crowd. Unlike Kenyans, Malawians always turn out in large numbers for their international matches. Bullets have also been promised a cash prize of US $10,000 should they qualify for the next round. Captain John Lanjesi says the cash promise will motivate his side. “This will encourage us to put much effort. We know how to beat Gor Mahia. We urge Malawians to show up at the stadium regardless of which team they support” said Lanjesi to Nyasa Times. Last Wendeday , the Malawian side played a defensive game and hardly troubled the Gor Mahia rear guard. But Nyasa Big Bullets coach Calisto Pasuwa has promised that things will be different in the return leg. The new coach Hassan Oktay has traveled with the team but according to Sec Gen Omondi, Zico will still be the man in charge. Omondi clarified that Oktay is traveling with the team as part of his probation. “He is just familiarizing himself with the team, but we can say that at the moment it is like he’s on internship. He traveled as a member of the delegation because he’s still on probation.” he continued. Gor Mahia’s biggest point of weakness of late has been the attack. Yet they will once again have to play without their lead attacker Jacque Tuyisenge who picked up an injury in the first leg. Also missing will be Francis Kahata who is on the verge of joining an Algerian side. He has been associated with both USM Alger and CS Constantine. 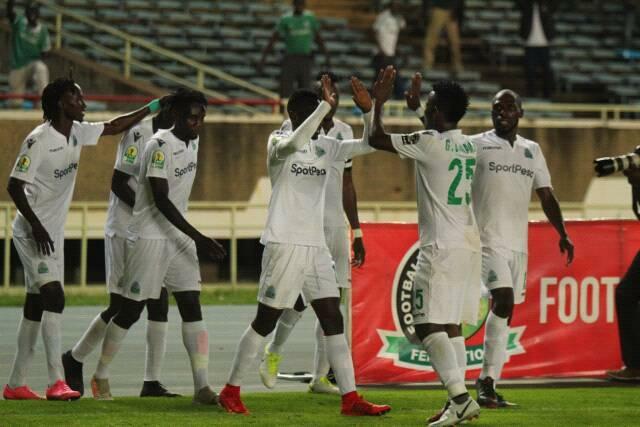 Gor Mahia will need to raise their game much higher than what pertained when they lost 0-1 to Kariobangi Sharks last weekend. Bullets for their part, have continued with their fine domestic form. They beat Tigers FC 2-0 last weekend. I ask in the committee, who is trying to impose Oktay on to gor mahia ? since when did we hear a coach on probation ? Is he on a tourist visa ? Does he have a contract ? ………I insisted let Zico be the man in charge in Malawi if we are to post any meaningful results, this oktay man is new to African football, he can’t be trusted !!! Any live reports from Malawi?? So this Oktay man is not yet the coach but he gets to travel with the team to Malawi? Who does that? I wonder who is fooling who here? If it walks like a duck, quacks like a duck, then chances are it is a duck! I think Oktay has been given the green light to coach but there are decenting voices in higher Gor Mahia echelons of power, hence this so-called ‘not coach but working on probation…! cliche or tag line. I don’t even know how to call it! He is either the coach or he is a very nice naive man who graciously yet innocently loves Gor Mahia so much and can afford to travel far and wide just to watch a team he is not even a coach to yet! It’s a pity this glorious club is run in Mafia style! Chew on this for a minute: A sleeping football powerhouse that has decided to live the life of a midget and like the proverbial dwarf that thought because he had climbed on table, and had become tall, later realises that when faced with a decision on his next move… a decision to make…upon which flag, red or white – Which one to wave, he has to shamfully, pick the white flag! A sign that he was not tall enough to fight other giants in his current state, but rather wave a white flag in surrender! Gor Mahia needs a total leadership overhaul and a total paradigm shift in how business is handled therein! Otherwise, we should not complain about the state of affairs! That constitution needs to to be ripped to shreds and a more business oriented one written! The tales of the inner happenings in Gor Mahia are already like the sound of an irritating broken record! We are in the 21 century and we are still running a giant club like a group of potato growers! Cry the beloved Gor Mahia!!! Muguna fiasco aside of what value is Kahata if he does’nt want to be cup tied to GM for CAF. So EC would rather jeopardize the kes.55m CCL group stage possible payout (27.5m of CCC) for a kes.8m transfer that may never be. Guikan pulled a similar stunt! Nothing like tall order as written by the admin up there.Gor is capable of beating this team at their homeground. Let’s believe in ourselves and have confidence.Best of luck kogalo team kubwa.I hope Zico has a plan to ensure they don’t move the ball around easily, keep them at their own half and put pressure on them, remember they are down and chasing,cheer up boys you are the Kenyan champs. What baffles me is that Rachier says one thing and Ngala the other. By the way I thought Ngala is Assistant Deputy SG but I never hear the SG say anything on matters Gor. I thought the SG and Chair are the spokespersons of Gor. I shudder to read the Bullets captain’s comment that “We know how to beat Gor Mahia.”…. Not good at all because the man seems to know what he’s talking about. Everything aside. It is the match day and let all the talking be done on the pitch of play. For me what is important is my support and encouragement to the Team and that they will come out victorious. Kogalo has been in this kind of situation before and has come out as the victors. For the Nyasa captain to come and say ” We know how to beat Gor….” The question is if the plan did not work in the firts leg what is the guarantee that their other plan will work out in the second leg” Gor has not been static either They have also been plotting on their killer punch. Nyasa must not be very confident. As my Team, we are praying for you, Just believe in your selves as you have always done. Beat those guys in their own backyard. A man is always a man where ever he goes’ Kogallo Hoyeeeeeeeeeee. I have a strong feeling that the match will end in a 1-1 draw. Those nyasa bullets will attack until they forget to defend then blackberry will suprise them with a rebound goal from a counterattack. Then they will equalize in the dieing minutes. if the coach is intending to play defensively then cercidy okeyo can really defend. Opira no en saa adi jothurwa? Be nitiere ngato on the ground for updates??? @DO What about the Paybill a/c called GATE COLLECTIONS? Best football business is to win matches/trophies e.g qualify 4 CCL grp stage get kes.55m in 4games, win shield get 2m etc. Put h/coach on a PERFOMANCE CONTRACT-500k salary +75/50k 4 win/draw bonus. Zico bring Fredrick to save penalts, this is now beyond bonny.